I was sent a late morning delivery of hot empanadas this week. Well worth talking about, Como Foods call it their Bacon and egg, a moist hard-boiled egg, smoky pork mixture with a few bits and pieces. Perfect at that time of day. Ever since I experienced these crescent-shaped filled savoury pastries as street snacks in Beunos Aires in Argentina, I’ve been hooked. One of my best memories was being hosted overnight at a wine farm in Mendoza where somebody’s granny left 12 homemade empanadas in my country cottage. Despite being treated to a typically late, lengthy Spanish dinner followed by partying in a nightclub, I ate four empanadas on the spot. They were that good. Como Foods is a South African initiative that recreates the pastries coveted in Argentina (Como in Spanish means ‘I eat’). Handmade, they use only fresh and free-range ingredients with no preservatives. The company flash-freezes them so you can remove a box of empanadas from the freezer and bake them easily yourself, if guests come over. In terms of taste, the pastry is light yet firm, the fillings are well flavoured and moist. There is a diverse range to suit different situations and preferences, and they taste homemade, which is obviously a plus. Nine fillings range from bacon and egg to leek and chicken or braised beef. For vegetarians, three options include butternut and blue cheese. Or spice it up with chicken and chorizo, or spicy beef. The price: As always, you’ll pay a premium for gourmet products. 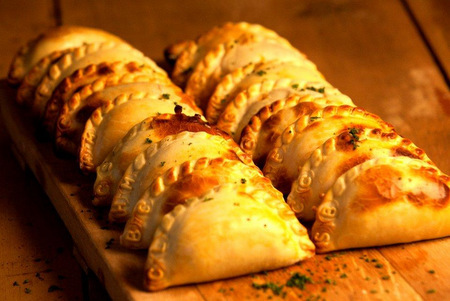 Select up to two Como empanada fillings in a frozen box of 12 at R150, or a maximum of four different fillings in a box of 24 priced at R300. The price includes free delivery in Cape Town and vicinity. 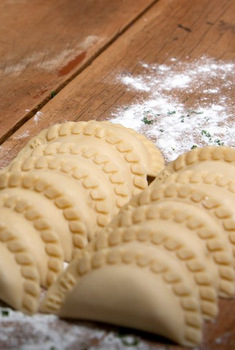 Limited period special: order online and receive four free empanadas on your first order. Deliveries: generally allow two days notice for Southern Suburbs, expect twice weekly deliveries in Cape Town CBD and Atlantic Seaboard, and once every two weeks for locations in the Northern Suburbs and Winelands.